Manchester United are reportedly the latest Premier League club to be linked with an interest in the transfer of Paris Saint-Germain midfielder Adrien Rabiot. 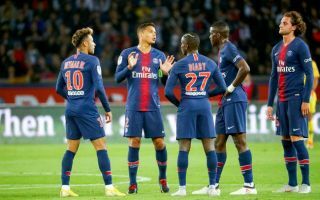 The France international is heading towards the end of his contract with PSG, making him a free agent in the summer if he does not renew before then. This has unsurprisingly led to plenty of reported interest in Rabiot in recent times, with the latest being that Man Utd are joining the running while Barcelona seemingly cool their interest, according to AS. This follows a report the other day from the Daily Star claiming Arsenal and Liverpool were among his strongest admirers, so it does seem like a move to England could be on the cards. Rabiot has been a key player from a young age for PSG, and is still just 23 years of age, meaning he could move to a top club with his best years still ahead of him. United could do with what Rabiot offers in midfield as Nemanja Matic looks past his peak, while summer signing Fred has been slow to settle at Old Trafford. Arsenal’s midfield problems are well-documented, while Rabiot would understandably be a tempting signing for former PSG boss Unai Emery after working with him for two seasons. Liverpool are perhaps least in need of a new midfielder, but may be wise to think about long-term replacements for the likes of James Milner and Jordan Henderson.